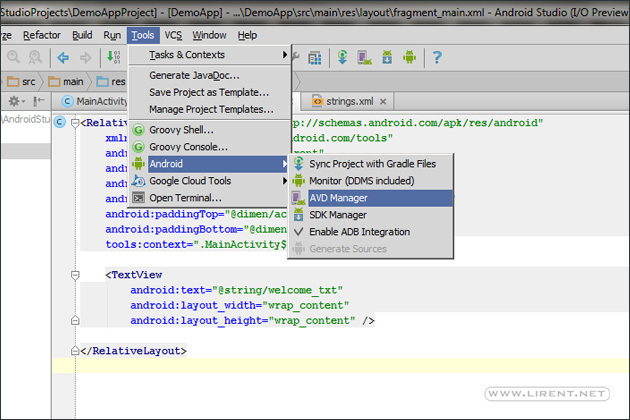 Launch SDK Manager, if you are on Android Studio: Tools-> Android-> SDK Manager. After the packages are loaded, find under Android 4.X: Intel x86 Atom System Image and click on the check box. 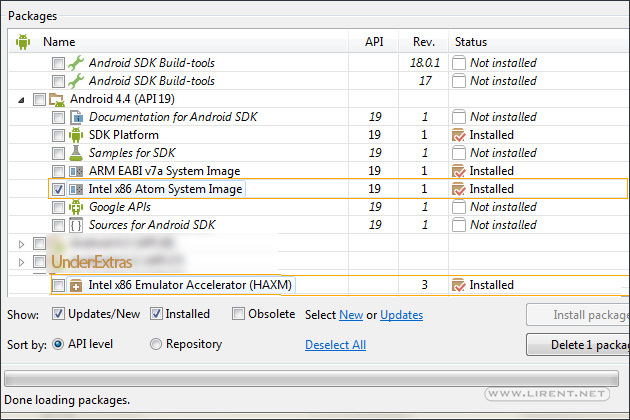 Scroll down under Extras and find Intel x86 Emulator Accelerator and click on the check box too. Confirm by clicking on Install Packages. 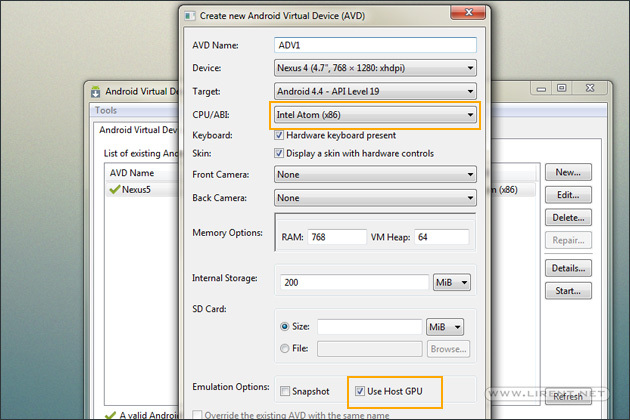 Enter your AVD Name, select device, but i will suggest a small screen device, select Android API, then under CPU/API select Intel Atom (x86). Leave the rest four as default and on RAM value insert 768 or smaller. Be sure that under Emulation Options Use Host GPU is checked. Confirm the new AVD and click on Start. 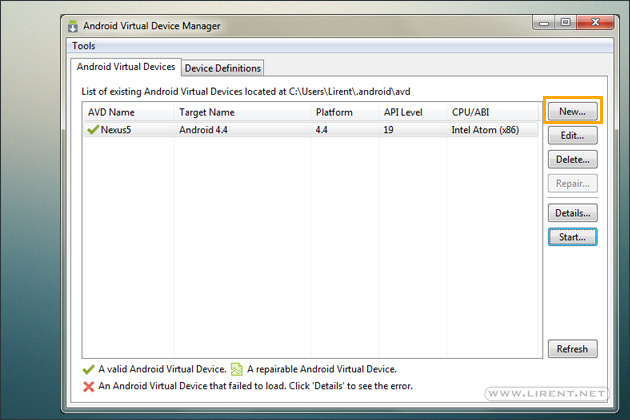 Now our Android Virtual Device will run much faster.